I’ve been a fan of the Spiritual Cinema Circle ever since it was founded in 2004 by Hollywood filmmaker Stephen Simon and psychologists Gay and Kathlyn Hendricks. While in Hollywood Stephen produced spiritually themed movies such as Somewhere In Time, with Christopher Reeves and Jane Seymour, and What Dreams May Come, with Robin Williams and Cuba Gooding, Jr. The Circle has since grown into a global community of folks who love inspiring movies with spiritual themes–movies which Hollywood doesn’t think there’s a market for. Or perhaps they don’t believe there’s enough profit. Those media are fond of focusing on bad news, on all the tragedy and trauma around the globe. They ignore that there are many good people and lots of good news out there. Perhaps, like Hollywood, they believe there’s not as much money in good news. One of the many pieces of good news today is the Spiritual Cinema Circle. Their movies are uplifting, life-affirming inspirational stories, fictional and true. Watching one of their films at night before bedtime is sure a lot more fun than watching the late-evening news. The films will make you feel better about yourself, other people, and our world. Through the years the Circle has featured such classic films as Illusion starring Hollywood legend Kirk Douglas, and Noel starring Susan Sarandon, Penelope Cruz, and the late Paul Walker. A couple days ago I watched one of the Circle’s feature films, Cliffy. 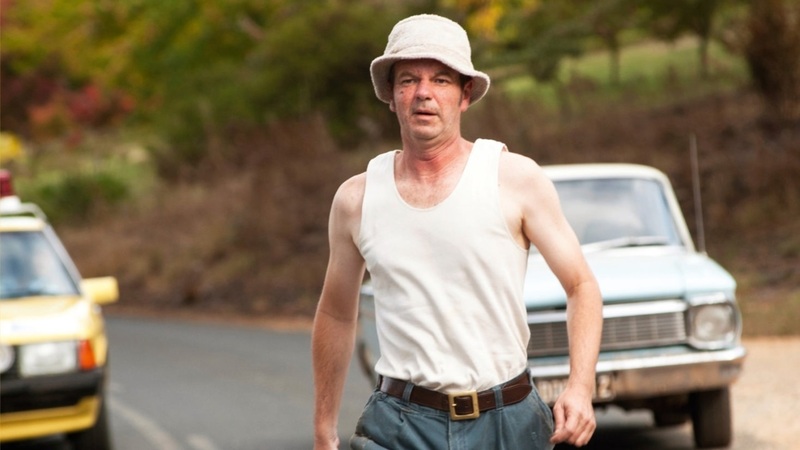 It’s the true story of Cliff Young, an Australian potato farmer. In 1983 Cliffy decided to enter a marathon from Sydney to Melbourne. That’s 500 miles, and Cliffy is 61 years old! He’s competing against runners half his age. The film takes us through Cliffy’s training in cow pastures to his journey’s end in Melbourne. Braving the ridicule of his family and friends, he persisted endlessly in the face of incredible physical and emotional trauma. This is a remarkable true story of one man’s courage and determination. But it’s also the story of the power of the human spirit, and how we can accomplish anything against seemingly impossible odds. These are the kinds of inspiring, heartwarming stories the Spiritual Cinema Circle features every month. I think you’ll find them a refreshing and welcome contrast to the stories the news media dish out every day. Please join me, and thousands of others, in this global community dedicated to inspiring and uplifting our often-weary world with films that make a powerful, positive difference. Check out the Spiritual Cinema Circle today. A subscription to the Spiritual Cinema Circle would make a great holiday gift for a loved one–or for yourself. Here’s a preview of the Spiritual Cinema Circle’s films for next month, January 2015.